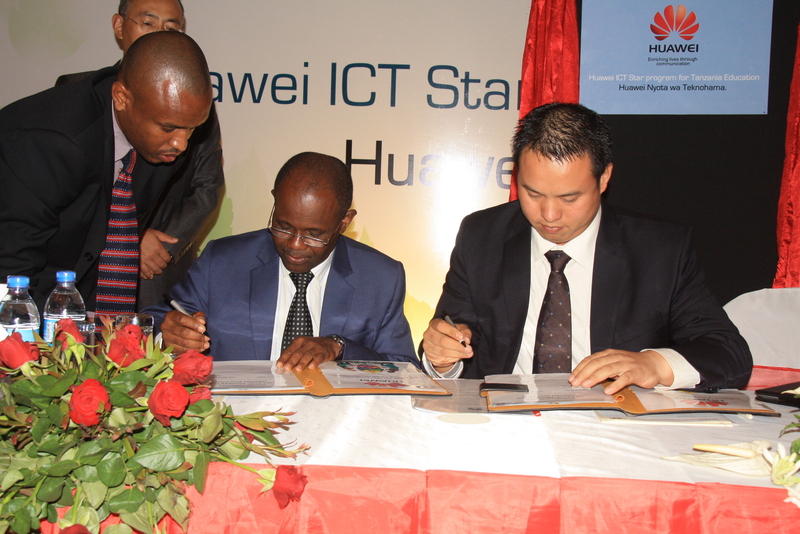 Huawei on Thursday 15th November launched an ICT Education program aimed at nurturing ICT development and ICT Talent training in Tanzania. Huawei will be partnering with the East African country and will work with students ranging from primary to University level.The program will be known as Huawei ICT Star program for Tanzania education.The program will offer support to primary, secondary and university students to develop ICT interests with the ultimate aim of developing Tanzania’s ICT industry. For primary and secondary schools, the program will contribute in improving the learning infrastructure that gives a better learning environment for the students in their early stage. And it will raise ICT awareness among students as well.Huawei ICT Star scholarship for the University students will be an ICT knowledge transfer program where excellent students will get specific free packages in Huawei Africa Training Centres.